This spacecraft, built by 'Blue Canyon Technologies, will be put to the test with storms and tropical systems—aptly named TEMPEST-D.
Blue Canyon Technologies (BCT) has recently been awarded a contract to build, test, and operate a new 6U-class satellite. BCT will deliver the 6U spacecraft, ready for instrumentation, for the TEMPoral Experiment for Storms and Tropical Systems—Demonstration (TEMPEST-D) project, led by Colorado State University (CSU). 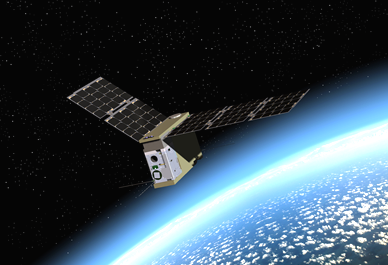 TEMPEST-D is supported by NASA's Science Mission Directorate, Earth Science Division and is managed by NASA's Earth Science Technology Office. The NASA/CalTech Jet Propulsion Laboratory (JPL) will provide the five-channel millimeter-wave radiometer instrument. The TEMPEST-D mission is expected to launch in March 2018. The objective of the TEMPEST-D mission is to reduce the risk, cost and development time for a future TEMPEST mission. A future five-satellite TEMPEST mission would provide the first temporal observations of cloud and precipitation processes on a global scale. These observations are important to understanding the linkages in and between Earth’s water and energy balance and to the understanding of cloud model microphysical processes that are vital to climate change prediction. This understanding will also have significant impact on agricultural forecasting, forest management and disaster preparedness.